Hinkley got his moose on a family hunting trip. 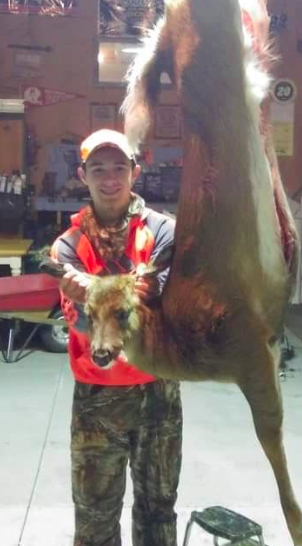 AVON - Cayden Hinkley recently achieved his hunting grand slam at only 15 years old. 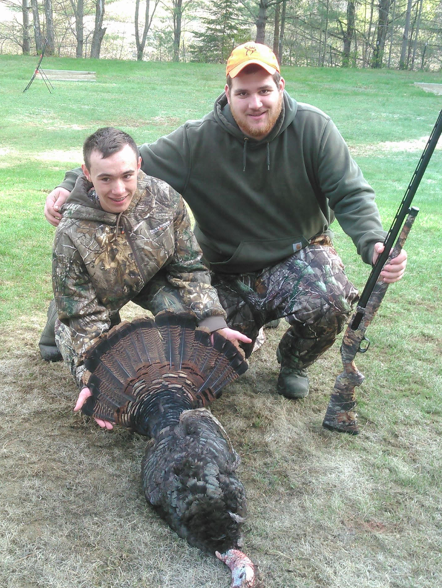 Cayden Hinkley first got a turkey. His deer completed Hinkley's hunting grand slam. 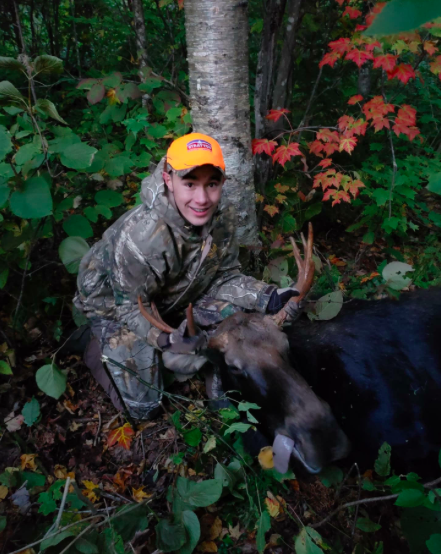 He first got his turkey, but when he found out he was drawn for a moose permit the goal was set for a grand slam. 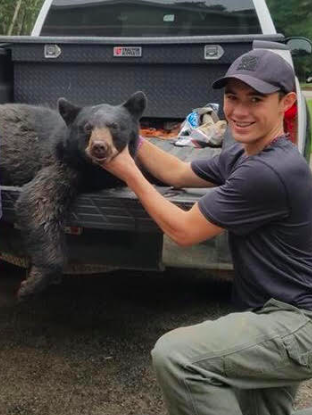 With help from family friend Danny Ruggiero he was able to tag a bear. A trip was planned for a family moose hunt shortly after which he tagged his deer. Hinkley is planning to submit for his grand slam patch. When tagged his bear with the help of a family friend. Sure does make us all feel proud of you, Grandson. It is great to see the next generation participating in our outdoor heritage. Congrats to the Hinkleys' . A great family that enjoys the hunt and passes it on to future generations. Great job Cayden! If you get a doe permit next year, I know of a place where several of them that are getting fat off of people's meticulously planted gardens roam without fear because the laws are in their favor.